Opposition Leader Isaac Herzog blasts former Prime Minister Ehud Barak. Zionist Union chief Isaac Herzog slammed former Prime Mininster Ehud Barak, following his comments regarding the US-Israel relationship and criticism of Israel's leadership. Over the weekend, Barak issued harsh criticism against the newly inked defense aid agreement signed last week between US and Israel, writing a scathing op-ed in the Washington Post as well as speaking to the media. “Really, he sits in Boston and divides Zionists,” Herzog said in an interview with Army Radio. “I would advise everyone to calm down,” dismissing the former Prime Minister's recent warnings. At the Sunday morning weekly cabinet meeting, Netanyahu discussed public criticism of the defense aid agreement signed last week between the US and Israel. "Last week we signed an aid agreement. Israel will receive $38 billion," said Netanyahu." I hear all sorts of background noise and misinformation. I want to emphasize that we were never offered more - not even one dollar more. These are misrepresentations and fabrications of interested parties." "The saddest thing is that they convey a lack of gratitude towards America. This is a record agreement and we should all bless it and be thankful to America for it." 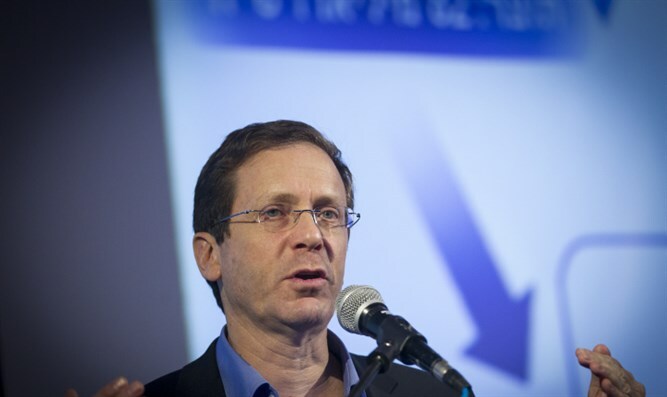 MK Shelly Yachimovich (Zionist Union) responded to Netanyahu's statements regarding criticism of the deal: "The Prime Minister's harsh words directed against those who criticize the failings of the aid agreement and his accusation that they lack gratitude for the Americans is pathetic and out-of-touch. Netanyahu could give the entire political establishment lessons on ingratitude and irresponsible conduct toward Israel's most important and dedicated ally, the United States."